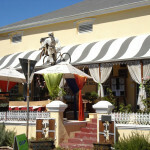 Franschhoek is known as a slice of France in the heart of the Cape Winelands. Having been established by the French Huguenots centuries ago, it retains much of the ambience of the unspoilt French countryside, with clear African influences and inspirations throughout, creating a unique destination to explore. The road that passes through the little town is flanked by an incredibly diverse range of boutiques, restaurants, galleries, book stores, and more. There are chocolatiers, bakeries that allow the smell of their fresh pastries to waft out of the door and down the streets, art galleries, restaurants that serve only pancakes in every imaginable variety, and African curios galore. There are also historical buildings and churches that showcase the traditional architecture of yesteryear. 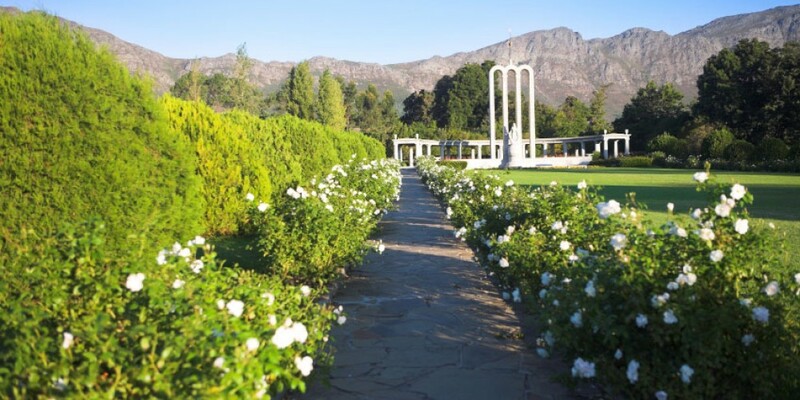 Try not to hurry this part of your time in Franschhoek, for fear of missing out on a glorious little treasure right in the midst of all this natural beauty. Discover the true beauty of this region by exploring it on foot (or bicycle). There are a number of formal trails in the mountains surrounding the farmlands of Franschhoek. The Mont Rochelle Nature Reserve is one of the local gems that is not only rich in South African flora and fauna, but also has a number of trails, ranging from short and easy to a tougher trail that takes the better part of a day to complete. Permits are required and cost R20 per person. Look out for the many bird species that call this home, as well as for beautiful and varied fynbos species. Remember to bring along sunblock, a camera and a mobile phone. There are not many destinations in which one can claim that chocolate was part of the tourism experience, but Franschhoek is certainly one. There are a number of renowned chocolate-makers in the area, and their goods are worth every one of the kilojoules. These line the main road and dot the streets, luring chocaholics in to sample the deliciousness. Some offer formal chocolate tours and many do tastings to ensure that you enjoy the perfect sweet treat. Some of the Western Cape’s finest hotels and guest houses can be found in the Franschhoek Valley and you will be spoilt for choice when choosing your accommodation in Franschhoek. 5 Star Luxury hotels and villas abound and beautiful cottages are available for rental. But if you are watching your budget you will also find apartments and charming cottages which are available for short term stays as well as longer rentals. Whatever you choose, you’ll be staying in one of our finest towns surrounded by much natural beauty. As a major part of the Cape Winelands, Franschhoek is home to an array of fabulous wine estates that produce a selection of the finest labels in the country. Some of these have won international awards, testifying to the quality of the soils and the farming techniques. Touring the wine estates of Franschhoek will expose the beauty and flavours for which this region is loved and will allow visitors to sample many of the wines. 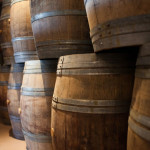 Cellar tours are interesting and offered by several of the estates. 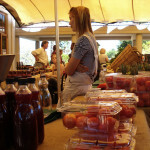 Wines can be bought directly from the wine farm. 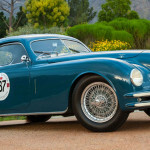 Perfectly placed within a Cape Dutch-style warehouse, this museum is dedicated to classic, elegant vehicle; ranging from a motor tricycle that dates back to the 19th century to a modern Ferrari. This museum promises motor maniacs a very special experience, but also caters to the interests and preferences of those who know a lot less about vehicles. The vehicles are all beautifully maintained and make for exquisite photographs. More info here. We are a small group of Winelands-lovers, made up of a "foodie", a "wine-quaffer" and a "nature-lover". We hope to bring you some of our favourites, so be sure to follow us. Now might be a good time to subscribe to our feed. Cape-Winelands © 2007-2018. All rights reserved.